Maryanne Rex has been playing around the Sydney and Central Coast circuit for over 2 decades. A seasoned performer, Maryanne caters to a wide audience with a variety of songs. Opening for acts such as Renee Geyer, Suzi Quatro and Smokie to name a few. Pete Gilchrist has been playing the circuit for over a decade as a solo artist. An accomplished Singer/ Guitarist , Pete Gilchrist has Played in various duos and bands such as Hey Baby, Sure thing, Fingerbun and Kadence. Maryanne collaborated with Pete Gilchrist to form the Maryanne Rex duo in 2015 . 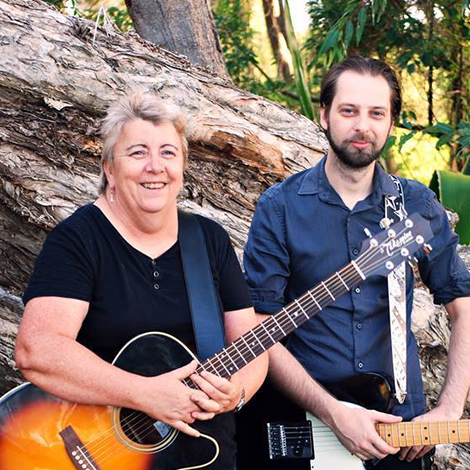 With strong vocals , harmonies and acoustic guitars , an upbeat fun duo suitable for any venue or function.